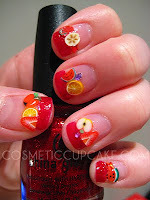 Babbling Brooke: Fruit Salad of Fruit Nail Designs!! To celebrate the fabulous fruits of the season, I asked you all to send me your favorite fruit nail designs. 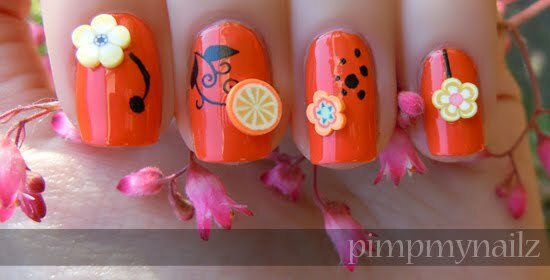 Unfortunately, this original post got deleted months ago and I had to scrounge around and try to relocate the photos on my hard drive from downloads (the wonderful guy at the Apple store spent nearly an hour helping me find all of these). I'm sorry it has taken so long to post this. Also, I do not have the names for all of the posts - PLEASE let me know if one of these is yours or if I made an mistakes (this was off of memory, file names, and, luckily, many were already marked). I sincerely apologize if yours isn't marked or is incorrectly marked. 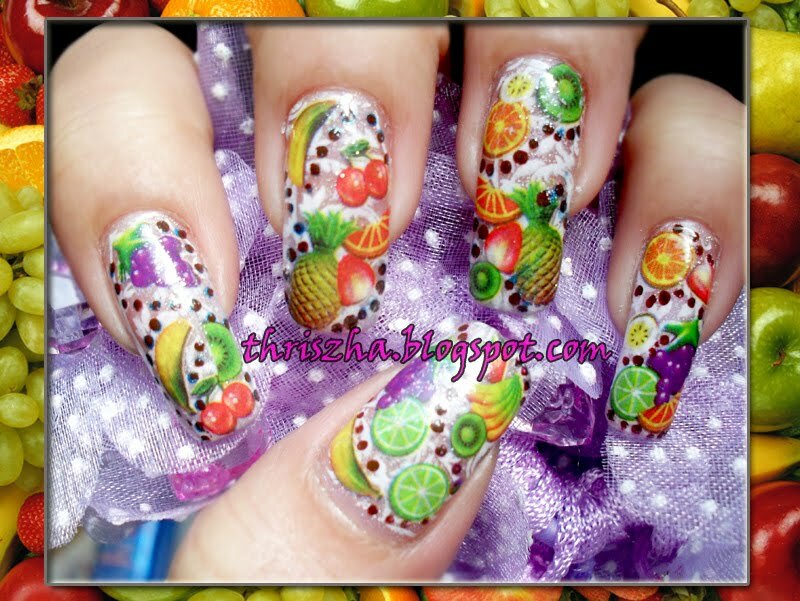 Thank you so much to everyone for contributing to this incredible fruit salad of nail designs!! 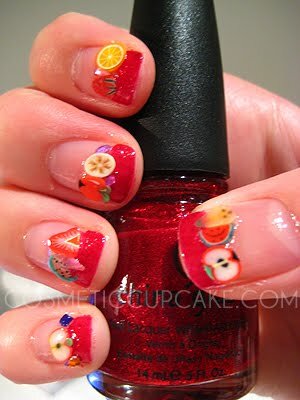 I really like the Strawberries on the whte base with the red tips. So girly and simple. so many beautiful entries! great job ladies!!! 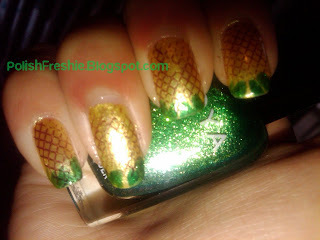 Love the first picture! simple but pretty! haha soooo cute.... awesome job everyone! 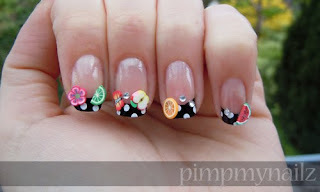 Wow all of these are awesome! Well worth the wait! I wondered what happened to these =D, that's great you could find them after your crash! 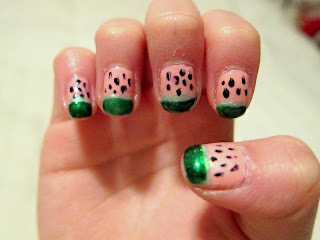 Hello, we are the experts from www.popcracklenailz.blogspot.com and we would just like to tell you about our blog. 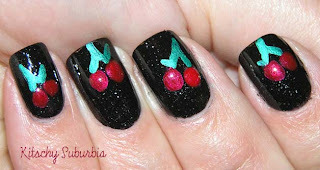 Our blog is about nail polish as well and we would like to have you come visit it! We would greatly appreciate it! Thank you very much! Sincerely, the experts from Pop Crackle Nailz!